Cutting edge academic programs, such as Focus Learning, suggest that, yes, they do. When we think of after-school academic programs, thoughts first turn to remediation: extra classes to help struggling students raise course marks. For some, that’s certainly the impetus, though ‘tutorial,’ more properly understood, refers to a style of instruction rather than any specific area of academic need. It’s characterised by lessons and approaches more suited to personal learning styles, from struggling learners, to those who are bored and require a challenge, to everyone in between. Further, educators increasingly believe that students learn better—which is to say that they become more conversant and have a more dynamic facility with the content—in small group and one-on-one settings than they do in traditional classroom environments. There are some good reasons for that. Tutorial environments are quieter, more intensive, and more focussed on active engagement. They also tend to be more geared to specific curiosities, and with more room to build instruction around students’ personal interests and particular points of view. Still, it’s more than that. Done well, tutorial environments recast the entire project of learning, centering it around the teacher-student relationship rather than marks or content. It’s something that can make all the difference in how children learn the material, as well as—and arguably more importantly—how they begin to understand themselves as learners. “Educators should be effective coaches and role models,” writes Shelly Zheng, director of Focus Learning, an academic centre in the GTA. As such, she’s making an important distinction, one that she took to heart when building the program: teachers work best as partners in learning relationship, not arbiters. “Our goal is to guide [students] on their journey to become accomplished and independent individuals, and to gain the skills needed for continuing practice,” a goal that she feels the Focus Learning model is particularly adept at accomplishing. Zheng founded Focus Learning in 2010 with a group of passionate educators who shared her perspective on teaching and mentorship. “Most kids see school and learning as a burden,” says Zheng, as “a chore that they have to do before being allowed to play with their iPads.” To some extent, traditional classrooms reinforce that approach, with progress and projects given to entire groups of students, rather than tailored to specific learners’ needs. She believes that by sparking curiosity, and building from where they are—rather than wherever their peers might be—teachers can better and more meaningfully engage them as active, motivated learners. 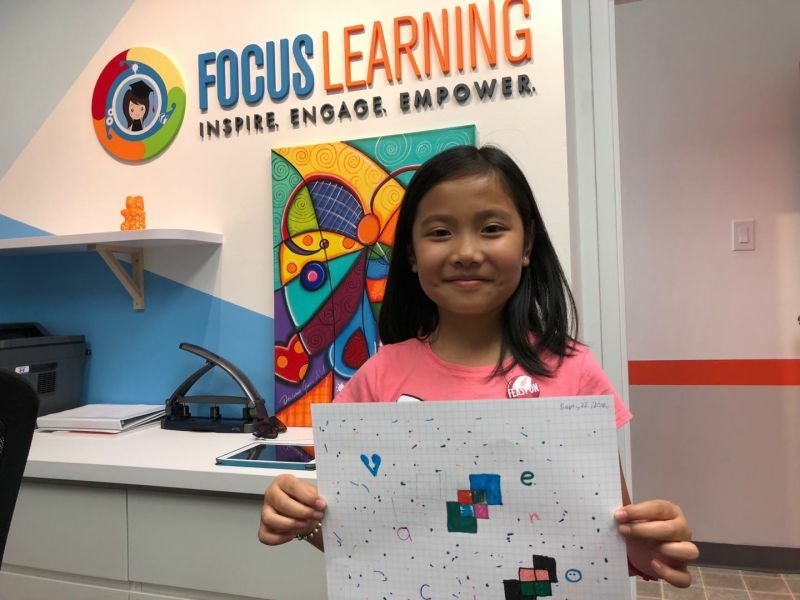 Since it began, Focus Learning has grown to comprise a series of afterschool, weekend, and camp programs, offered out of three locations: North York, Don Mills, and Markham. There are courses based in STEM concepts, including robotics and programming, but Zheng was sure to build out the full range of curricular areas. Some, such as BizKids, are unlike any you’ll find anywhere else. In that program, offered principally through summer day camp sessions, kids learn the fundamentals of entrepreneurship, including elementary financial and marketing concepts. “I treat it like more a workshop than a classroom,” says Michael Wisniowski, who teaches the writing and public speaking courses. “Rather than focussing on getting the better grade, I want to focus on getting students to create work that they’re proud of.” His students, notably, aren’t those that are struggling, but rather those who have a authentic interest in writing or speaking, and who are looking for an outlet to practice and grow those skills. From coding to communication, each session is crafted to offer a chance for students to engage their core talents and interests in an environment that supports and prizes them. “It’s an enriched program in the sense of how food is enriched,” says teacher Lisa Hines of the Focus Learning approach, “where you get all of your nutrients.” Hines teaches computer programming and robotics. “All of our teachers are highly qualified or industry experts,” though they also share a sense of best practices, including the benefits of bringing a playfulness into the teaching relationship. She notes that they also tend to be earlier adopters of cutting edge programs, and work with a greater array of tools than instructors in the public system. “We’ve been teaching math using a curriculum that, as far as we know, we’re the only school using it in Canada.” It was developed in the US by the Art of Problem Solving (AoPS), and called The Beast Academy. Used widely in the US, particularly with students preparing for national academic competitions, it’s just now starting to turn heads this side of the border, and Focus Learning is leading the charge. It’s that kind of flexibility and energy that distinguishes the Focus Learning program. Says Hines, “we start by having high expectations, but also that ability to really experiment and play” with the concepts. And it works. It’s school, but not. It’s different, and that difference isn’t lost on the students. They engage in sound programs, tied idelibly to the provincial curriculum outcomes, that build basic facility as well as higher-order literacies. They even do it for weeks at a time during the summer, a time when kids, perhaps understandably, would otherwise be averse to anything smelling even slightly of school. That’s because the approach posits them as equals, in an environment of equals. It’s not about marks, but rather the child’s personal relationship with learning. Which, ultimately, is the most important lesson of all.